The Arc of Benton County (a 501(c)(3) nonprofit) is dedicated to enhancing the lives of people with intellectual and developmental disabilities (I/DD) and their families. We have two thrift stores and one of them is moving to a new location. At this new location there is a safe and visible area to include a community sensory garden with our participants who experience disabilities in mind. 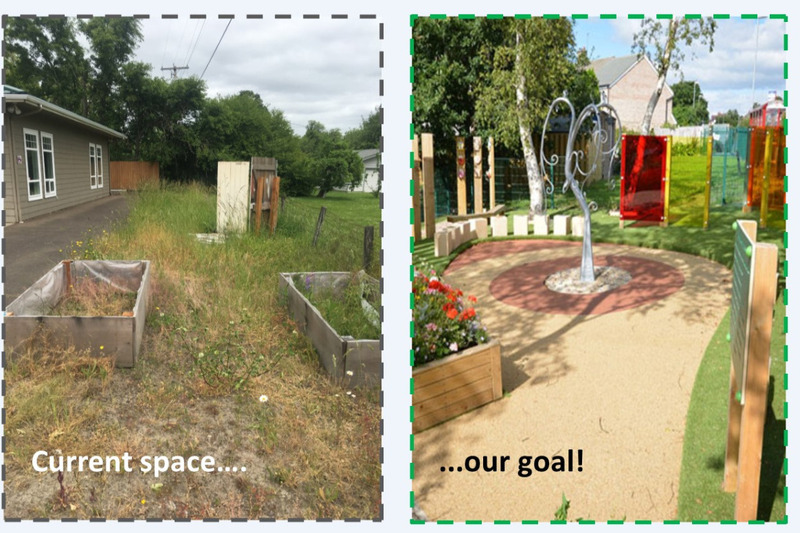 The purpose of this garden will be threefold: to raise awareness of The Arc's incredible mission, to create an ADA accessible interactive outdoor area for the community, and to beautify an otherwise neglected strip of land. Our Community Sensory Garden will feature soothing outdoor instruments, visually pleasing designs, fragrant flowers, and artistic elements created by participants of The Arc's programs. Visitors will be invited to feel, taste, smell and listen to the sounds of this tranquil space. The benefits of tactile therapy are undeniable. Everyday we use our senses to navigate the world and develop. It is especially important for people who experience I/DD to have opportunities to grow and learn in this way. Spring is upon us, so in order to start on the next phase of gardening and creating, we are hoping to accomplish this financial goal by July 2018 . Thank you for achieving with us in this endeavor. We couldn't create The Arc Benton's Community Sensory Garden without YOU.